SolarReserve, the parent of the Crescent Dunes Solar Energy Project, near Tonopah has a new chief executive officer. Special to the Pahrump Valley News SolarReserve’s Board of Directors has appointed Tom Georgis as the company’s new CEO. Georgis had been a senior vice president at SolarReserve for the last 10 years. 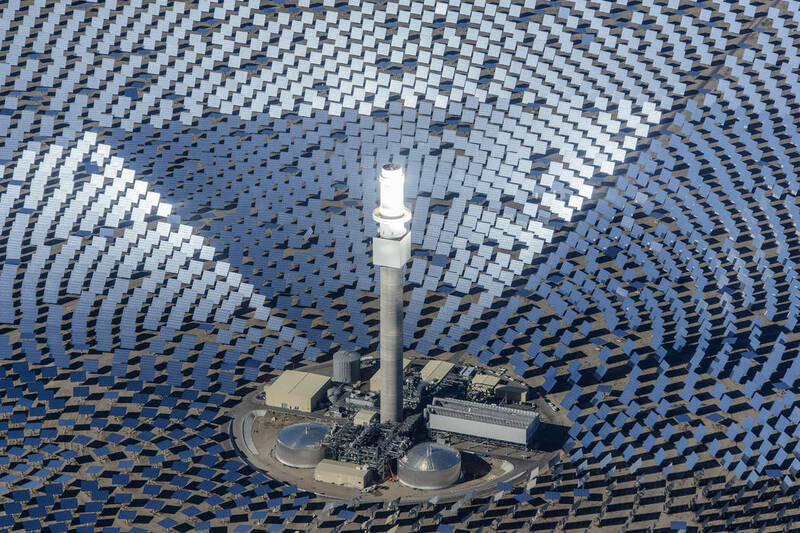 Special to the Pahrump Valley Times Crescent Dunes, the world’s first utility-scale solar thermal project with 1,100 MW-hours of integrated molten salt energy storage.Here it is shown a file photo. Special to the Pahrump Valley Times An aerial view of SolarReserve’s Crescent Dunes solar plant. SolarReserve’s Board of Directors has appointed Tom Georgis as the company’s new CEO. Georgis had been a senior vice president at SolarReserve for the last 10 years. 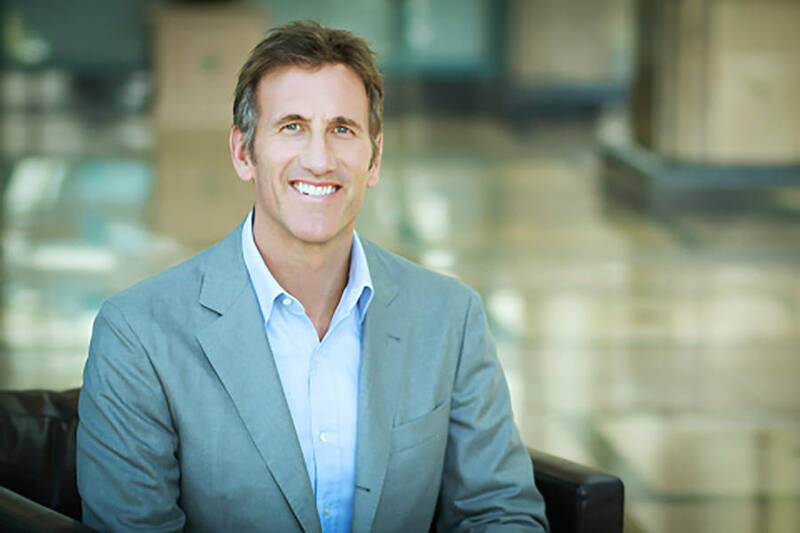 He succeeds CEO Kevin Smith, who, recently accepted position at Lightsource BP as CEO for Americas where he will lead the company’s expansion across the region, according to PRNewswire. Lightsource specializes in the development, acquisition and long-term management of large-scale solar projects and smart energy solutions backed by BP. Smith was at the helm of SolarReserve for 10 years. He spearheaded the commercialization of the company’s proprietary solar thermal energy storage technology and oversaw the construction of the company’s first major solar project that was constructed near Tonopah. “We wish Kevin the best in his future endeavors, and we are pleased to announce that SolarReserve’s Board of Directors has appointed Tom Georgis as the company’s new Chief Executive Officer,” Mary Grikas, SolarReserve’s spokeswoman said in an email. Georgis has more than 28 years of experience in the energy, technology, and government service sectors, according to his profile on SolarReserve’s website. For the past 10 years, he has lead SolarReserve’s expansion across the Americas, Asia and Australia. Georgis led the development and financing of Crescent Dunes, the world’s first utility-scale solar thermal project with 1,100 MW-hours of integrated molten salt energy storage. Prior to joining SolarReserve, Georgis was managing director at Globaltec Solutions, a privately held technology company delivering innovative products and services to the global financial community, where he oversaw all aspects of worldwide corporate operations. He earned his master’s of business administration from the Anderson School at the University of California Los Angeles. Georgis also holds a Bachelor of Arts degree in International Studies from Northwestern University. Georgis served nine years as a Naval Special Warfare Officer in the United States Navy. See the complete story on PVTimes.com. 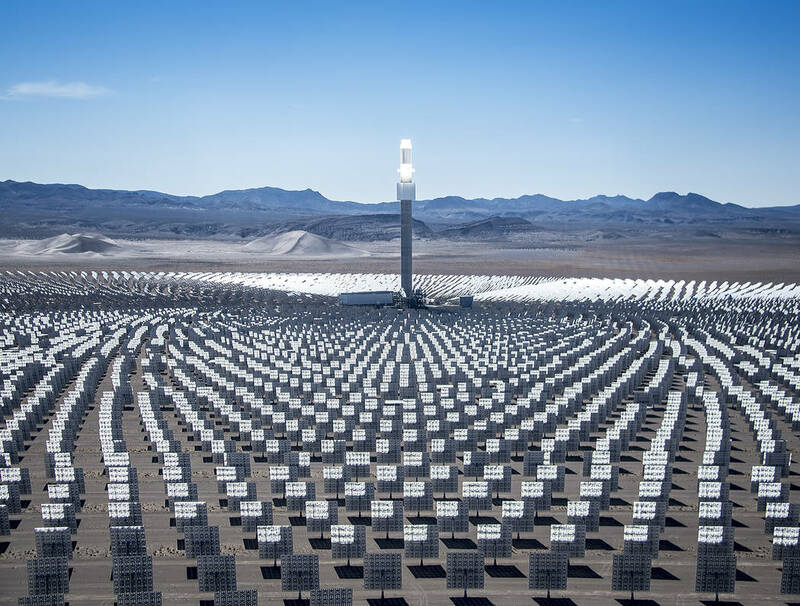 SolarReserve is a leading global developer, owner and operator of utility-scale solar power projects, with more than $1.8 billion of projects in operation worldwide. The company has commercialized its proprietary advanced solar thermal technology with integrated molten salt energy storage that delivers renewable power that is dispatchable 24-hours per day. The U.S. developed technology is now one of the world’s leading long-duration energy storage technologies, which facilitates higher integration of renewable energy, grid stability, energy shifting, and capacity to meet peak grid demand. SolarReserve is headquartered in the U.S. and maintains a global presence with six international offices to support widespread project development activities across more than 20 countries.